Remember these? 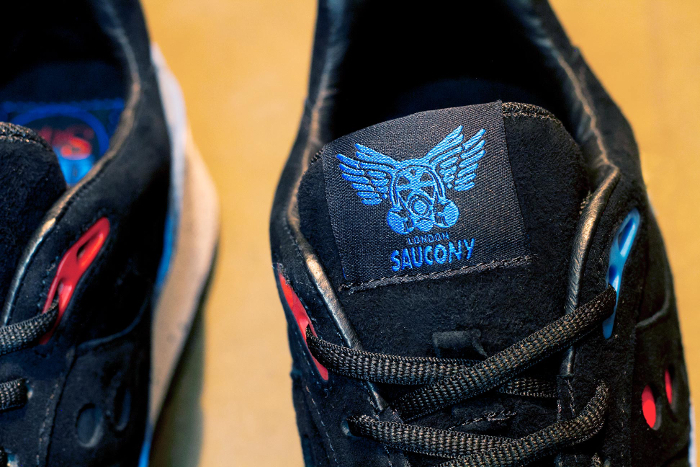 After an initial announcement earlier this year, Footpatrol’s Saucony Originals collaboration was plagued by production issues and delayed indefinitely. The good news is, they will finally see release this Saturday. 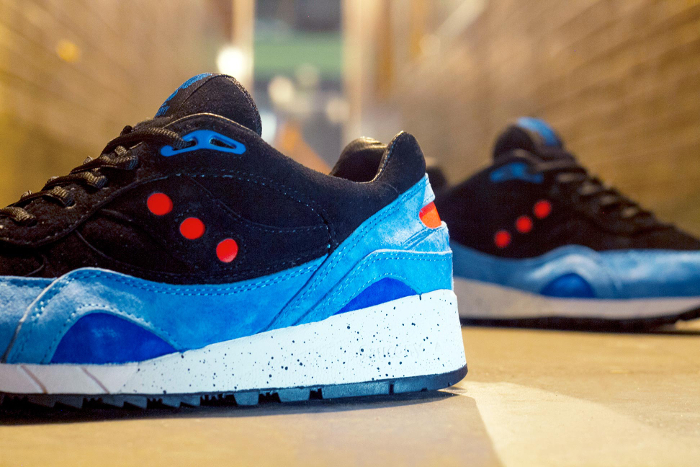 Three years later and sure, they’ve happened and they’ve been huge – adidas, Fila, and ASICS to name a few – but the latest is most definitely my favourite so far. 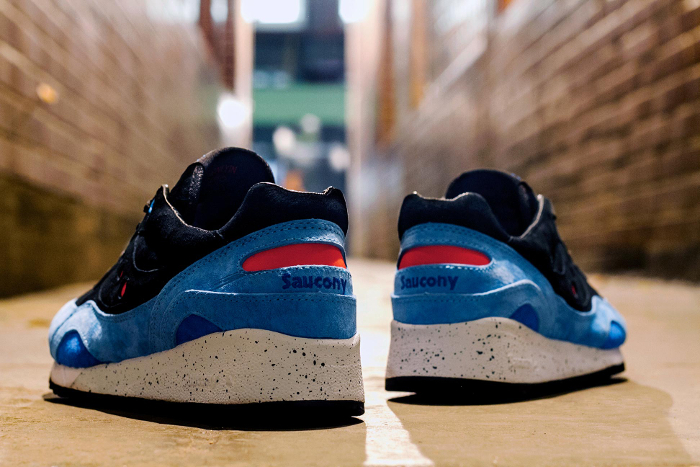 Taking the stores native Soho as inspiration, Footpatrol have this time teamed up with Saucony for a Shadow 6000 packed with details inspired by the areas unique characteristics. What started as an in-house expression among Footpatrol staff to describe the strange sights and individual personalities that only Soho provides, serves as the basis for the collaboration, from its filth-ridden streets to its colourful bright lights. The bright blue suede that wraps around the shoe represents the neon lights which are a common sight in the area, while red 3M accents on the side and heel indicate the district’s red lights which appear when darkness falls. The rest of the upper is swamped in black suede, which combined with the black footbed and leather lining are a nod to the dark underground, hidden behind closed doors. 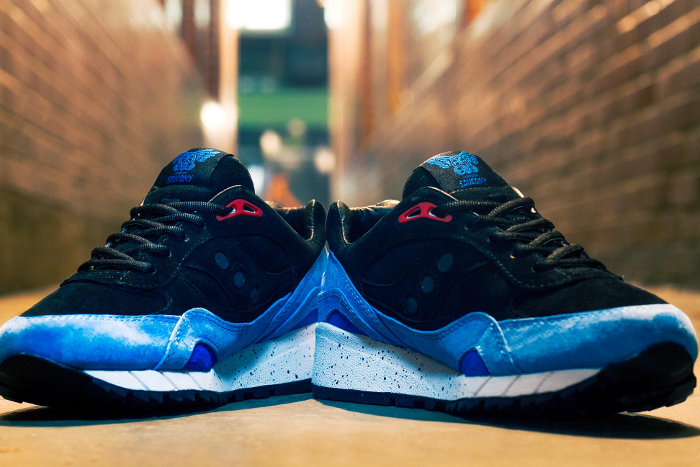 Finally, the splattered white midsole symbolises the grimy Soho side streets, sitting atop a black outsole. 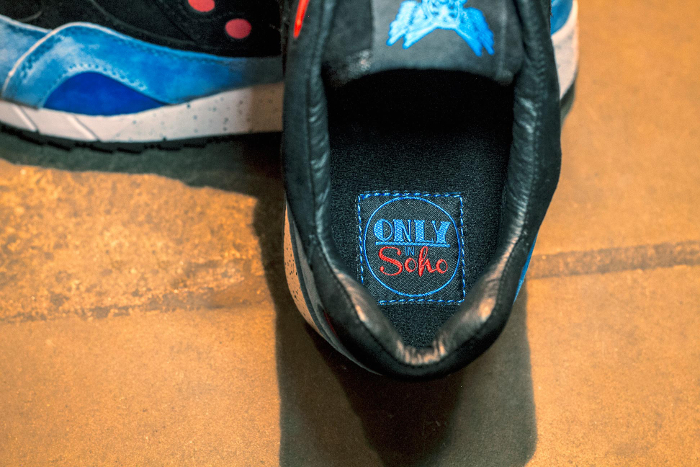 The shoe is branded with a mash-up of the Footpatrol and Saucony Originals logos, and the ‘Only In Soho’ title sits stitched into the footbed. Every detail of this shoe has been considered, making it a truly unique collaboration. The suede is the height of quality and every element has been executed perfectly. 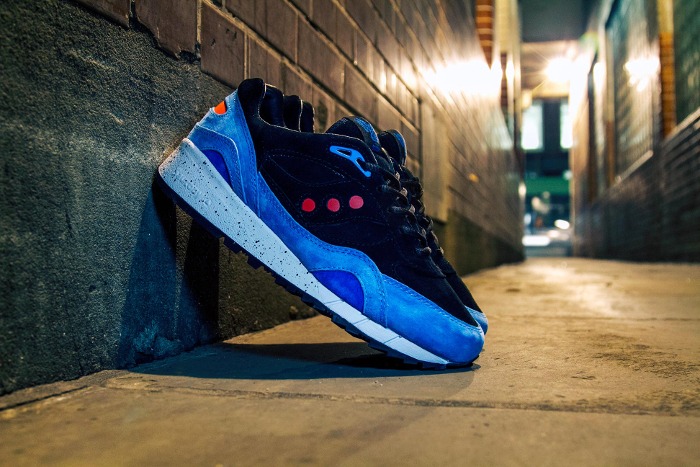 As I said earlier, Footpatrol has produced a number or collaborations since its return to London, but this is easily my favourite and I think I can say the same for many. 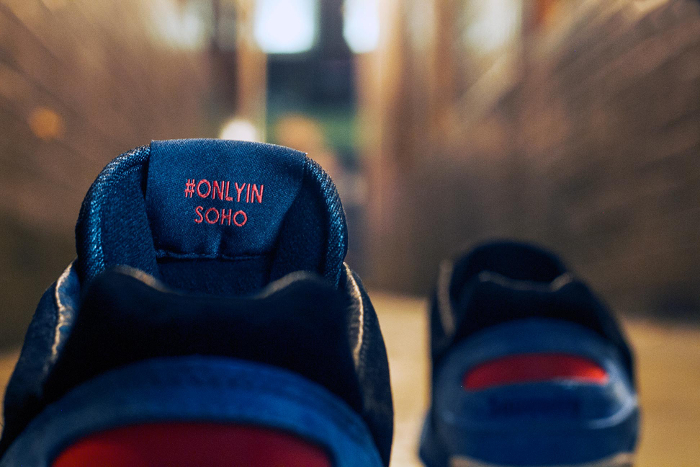 The ‘Only In Soho’ Shadow 6000 goes on sale this Saturday November 2rd both in-store and via mail order. Head to Footpatrol for more information on mail order. where I can buy this shoes? how much? Is there any one can sell it to me? £100, available from Footpatrol this Saturday.